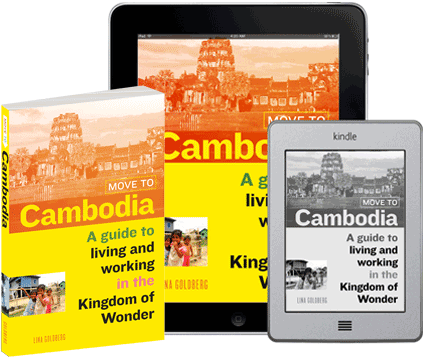 If you’re not a fan of freezing, snowy winters, you’re going to love Cambodia! Cambodia is a tropical country–it’s located just a smidge above the equator–with a usual temperature range of 21 to 35 °C (69.8 to 95 °F). Hot and steamy would be a good way to describe the weather here, but lest you find this unappealing, imagine walking around at night in a T-shirt without ever having to worry about bringing along a sweater. (Although that T-shirt may be covered in mango juice, since Cambodia’s weather means cheap tropical fruit year round.) There’s no harsh winter, and in fact no winter to speak of at all. Bring a sweater anyway, though, since many buses, offices, and stores like to keep the air-conditioning on high. Cambodia’s warm climate allows for winter trips to the beach. Cambodia is always warm (some say hot), with two distinct seasons, dry and monsoon (that is, rainy). Within those seasons, there are also cool and hot periods. The standard view is that Cambodia has three seasons: cool season, hot season, and rainy season. The weather starts to cool down in November and is actually pleasant in December and January. 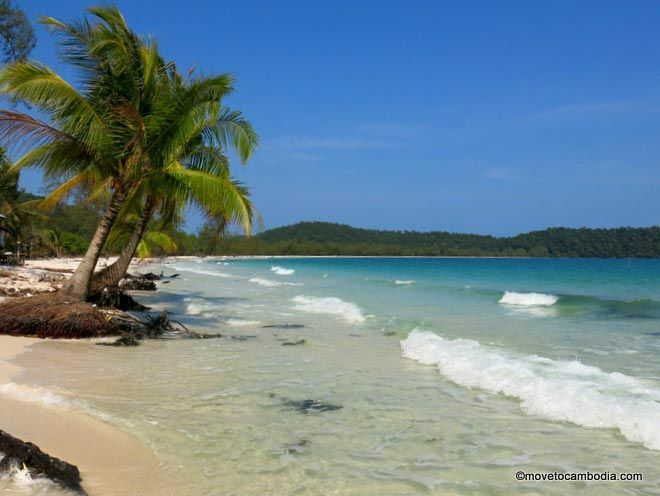 These are the months to visit if you want to be reminded of what a tropical paradise Cambodia is–the beach weather in Sihanoukville and the islands is perfect during this time of year. The temperature in Phnom Penh ranges from 21 to 32 °C (70 to 90 °F). When the thermometer dips to the low end of that range, it’s not uncommon to see Khmers wearing parkas and complaining about how cold it is. January is the coolest month of the year. February is still pleasant, but temperatures can start to rise by the end of the month. Because it has the best weather of the year, cool season is also when mobs of tourists descend on Cambodia. So for those who are sensitive to crowds, this is perhaps the least enjoyable time to travel around the country and especially to visit Angkor Wat, which is at its most mobbed during cool season. That said, cool season is also when Cambodia is at its most temperate, so for many it’s still the best time to visit the temples or do any sort of hiking or trekking. April is usually the hottest month of the year, when temperatures start to climb to 40 °C (104 °F). It’s called dry season, but the humidity makes it feel hotter than whatever the weather report says. During April and May in Cambodia, the heat can accurately be described as oppressive. There’s a serious dearth of shade, the air is still, and the streets are dusty. In parts of the country, slash-and-burn farming results in hazy skies. If you’re considering living in Cambodia part-time, hot season is the season to avoid. Many expats try to arrange to vacation abroad during hot season, so this is often when they make their yearly pilgrimage to their home countries. Expats who stay in Phnom Penh spend as much time as possible in or near the many pools the town has to offer, or drinking cocktails and complaining. It rains occasionally during hot season, usually in short, powerful showers that are less than an hour long. Rainy season isn’t the end of the world. 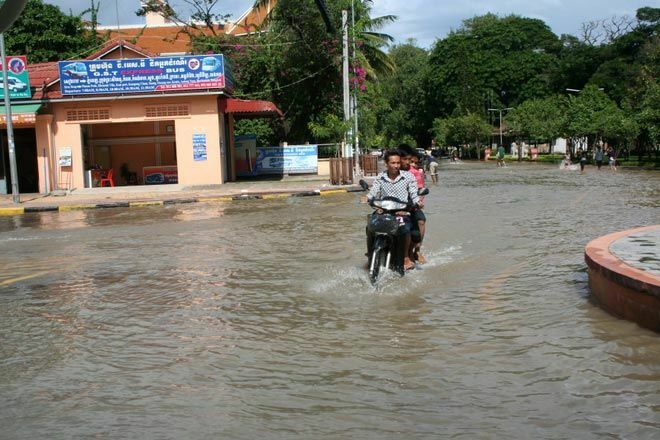 Most expats dread their first monsoon season in Cambodia, but by the time they’ve slogged through the months of hot season, the rains come as a welcome respite. One of the most important things to remember is that although it can rain upwards of 20 days out of every month in rainy season, the showers are generally short (less than an hour) and predictable, usually happening in the afternoons. Umbrellas are generally useless during monsoon season, as the rains are often accompanied by powerful winds. The most effective protection against rain is one of the 2,000-riel ($0.50) colorful plastic ponchos that can be found for sale all over the country. Plastic flip-flops, the footwear of choice for both expats and Cambodians, are also the most sensible rainwear. That’s true even in the cities; both Phnom Penh and Siem Reap have experienced flooding during the last few rainy seasons, on a small and large scale respectively. The upside of rainy season is that the rains every afternoon usually bring some relief from the high temperatures in July through September. In October and November it is still raining, but the temperatures start creeping down, with average highs of around 30 °C (86 °F) and lows around 23 °C (73 °F). 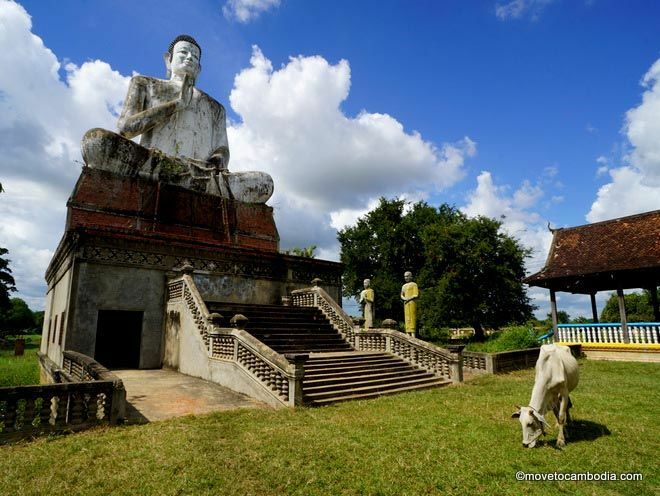 Rainy season is a great time to travel around Cambodia, as the country is mercifully empty of tourists.